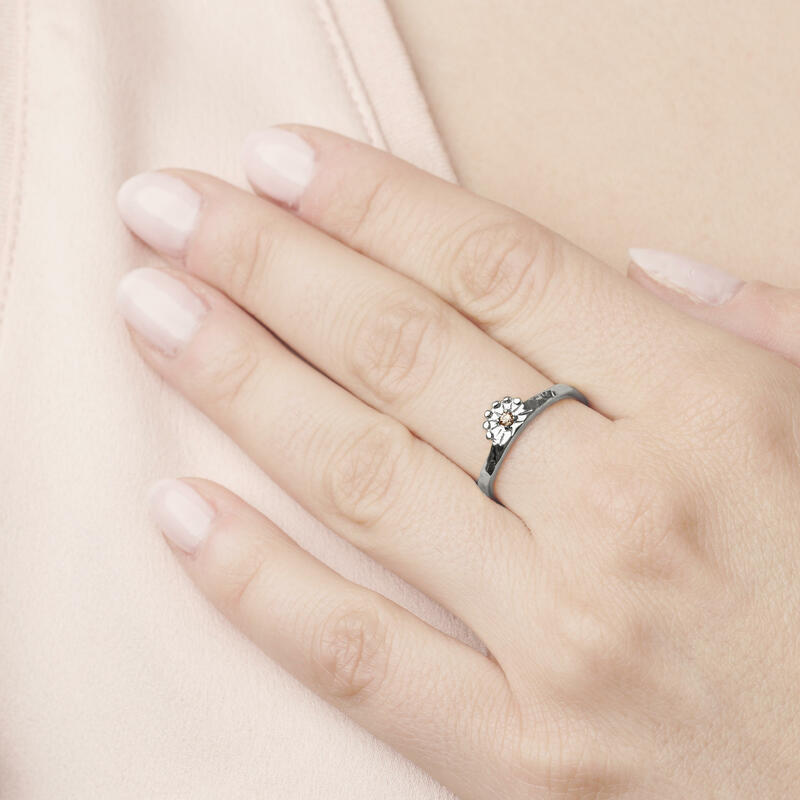 - This is a femme ring inspired by a princess crown. 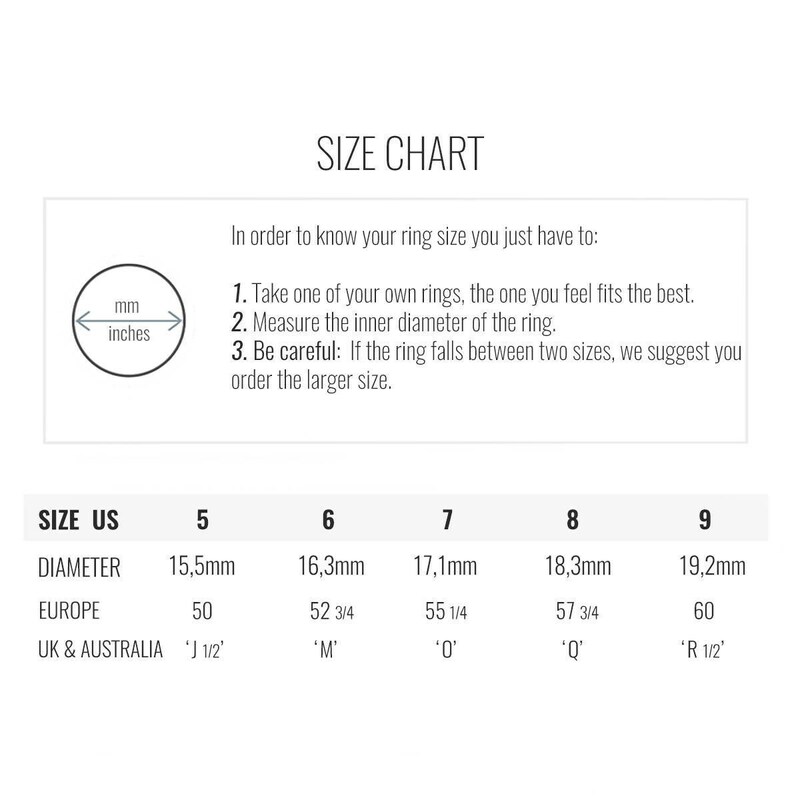 - The champagne detail is the centerpiece of this delicate ring design. 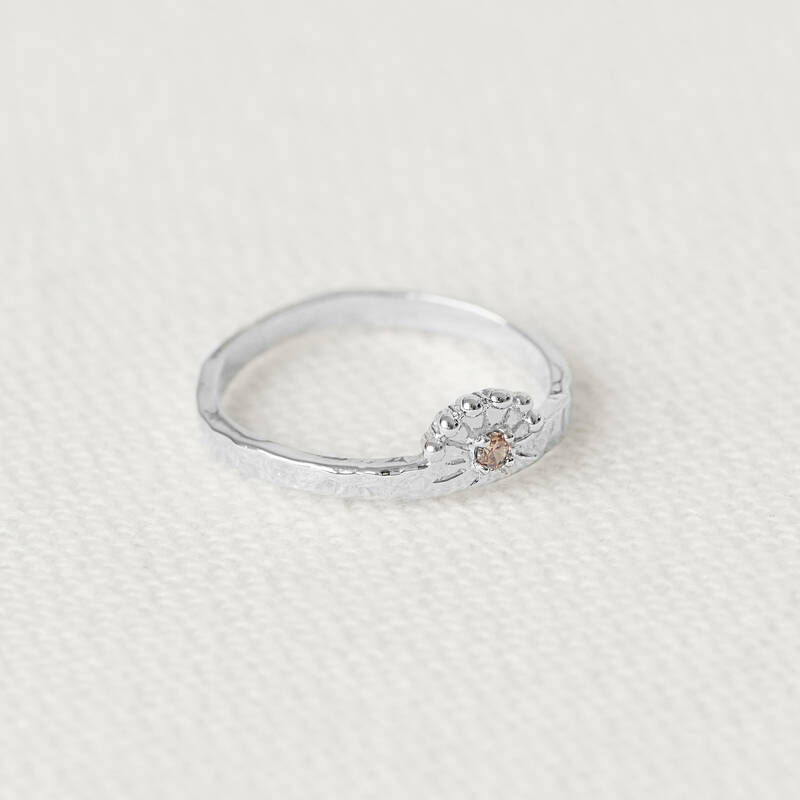 - A vintage ring for women which is a must-have for everyday. - The MON ROMA tiara silver ring is unique. It will make a perfect gift for someone special in your life or just because you deserve it. - MON ROMA designs classic jewels too as this hammered band ring inspiied by a tiara.